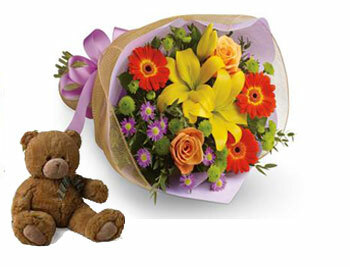 Want to send something that lasts a lot longer? 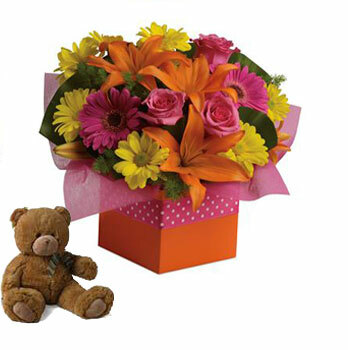 Why not send one of these items that not only have lovely fresh flowers, but also come with a cuddly teddy bear! 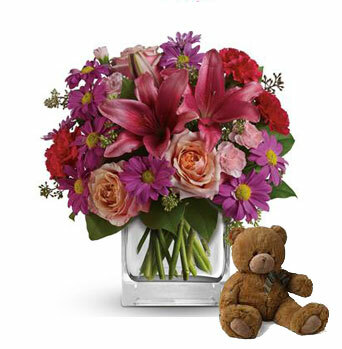 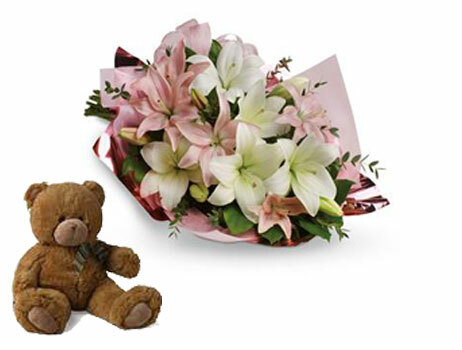 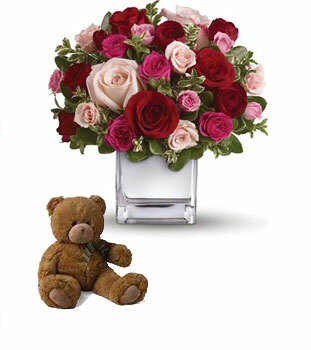 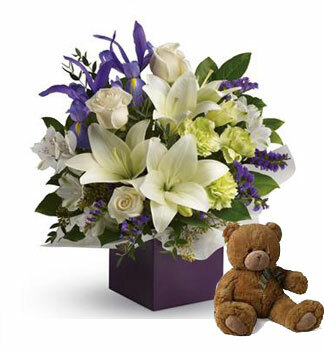 Delivery a Teddy Bear plus flowers - a lasting gift! 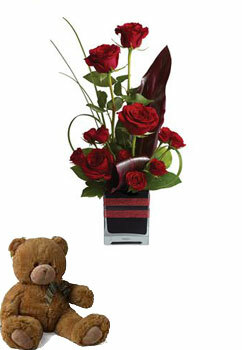 You can also add a Box of Chocolates as well! 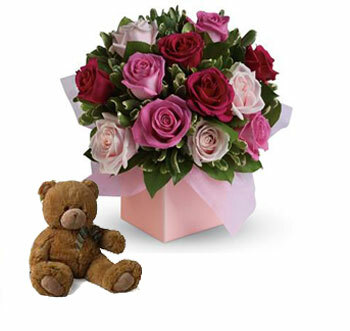 They will fall in love with you all over again when you surprise them with this perfectly petite bouquet of six sensational roses amidst beautiful fresh greens. 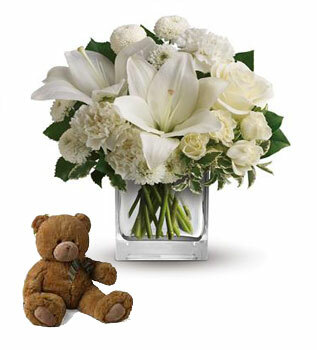 The one, the only. 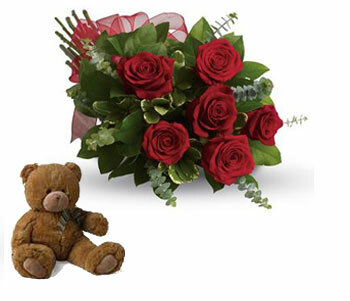 When you have found your single love, celebrate by sending this single rose. 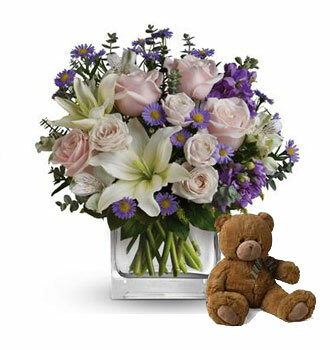 Simple, stunning, sure to take their breath away.